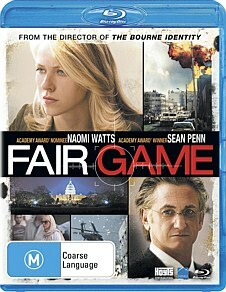 Fair Game is based on the memoir of Valerie Plame called Fair Game: My Life as a Spy, My Betrayal by the White House, and it tells her side of the story of the time she spent as a CIA agent and then the subsequent leaking of her identity to the media by government officials during the Bush Presidency. The film, as well as the book, chronicles the build-up to the Iraq war and the collection of information by the CIA and then covers the aftermath of the invasion and the reactions by intellectuals, most notably by Joseph Wilson. Wilson, a former diplomat in Africa and Plame’s wife, and wrote an article titled “What I Didn’t Find in Niger” criticising the Bush administrations use of intelligence. It is alleged by Plame that this was the reason she was ‘outed’, in order to discredit her husband and distract Americans from the real issue, the lack of tangible evidence that weapons of mass destruction were being built in Iraq at that time. Fair Game is certainly a left-leaning film that is highly critical of the Bush administration and the people involved in this series of events. This film is based on real events that are relatively recent and it is fascinating to watch, especially considering that we now know that the evidence used to justify the invasion was based on inaccurate intelligence. The subject matter can be quite dry though, it’s not exactly a fast-paced thriller and anyone who knows anything about the events will know what is going to happen which doesn’t exactly allow for much suspense to develop through the story. The downside to this is that the first half of the movie is spent wondering when they will reveal her name and the second wondering when the movie will end. Despite it being not much over 90 minutes, this film felt like two films that were connected and this made it feel a lot longer than it actually was. The quality of the image is excellent, as one would expect of a blu-ray disc, but unfortunately the audio track is not the best quality and for a lot of the film the background noises, especially things like rain, sounded metallic and distorted. It doesn’t ruin the film, or make it unwatchable but it does frustrate you, especially if, like me, you spend too much time trying to adjust the speakers, thinking the home stereo system is at fault. The special features for this disc aren’t very inspiring, with only an audio commentary track. The nature of this film could have allowed for a bonus documentary on the issue, or an interview with Valerie. By not doing this it feels like they haven’t put all that much effort into the release of this film, which is disappointing as the subject matter is fascinating for those interested in modern history. I found this film watchable and somewhat enjoyable, though mainly for the subject matter rather than the interpersonal relationships, which were never developed in any interesting ways. I also am a huge fan of Sean Penn and Naomi Watts, and in this film they both do a decent job. If these factors don’t apply to you then you will most likely struggle to really enjoy this film as their isn’t much more to it.